Having your drain and sewer regularly cleaned and maintained by Kitchener Plumbing is a great way to avoid unwanted issues in the future. Studies show that having your drains and sewers cleaned thoroughly can help reduce costs by up to 25%. Isn’t that incentive enough to give us a call? We take care of all your plumbing and cleaning needs. For Plumbing Services in Kitchener we do all the hard work so you can relax and rest at ease knowing you’ve taken preventative measures when it comes to your plumbing. Although many don’t typically think of cleaning their drain or sewer systems on a regular basis or…ever. That’s something that comes to mind only when problems arise. With our plumbing services, we prevent problems. Having your drain and sewers professionally cleaned by one of our top plumbers is not just smart, it’s genius! Think of all the time, worry, and stress you’ll save by having one of our team members do a routine drain and sewer cleaning service. We get our hands dirty, power-wash, auto-dose, and more to expertly and meticulously clean your drain and sewer. It may not be the most glamorous job but we’re happy to do it for our valued customers. In addition to cleaning your drains, we can unclog any drain or sewer line. We use highly sophisticated tools and techniques to ensure your systems are flowing smoothly again. When it comes to clogged and improperly working drains, trouble can occur. Leave it to us to solve all of your plumbing issue. 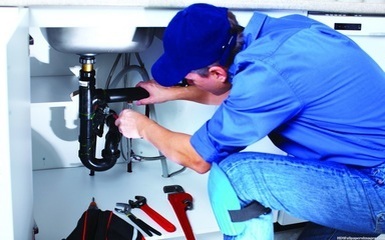 Our expert staff can assist you with a plumber that is exceptional when it comes to quality and service. You won’t just get a plumber, you’ll get someone who knows how it feels to be in your situation. Our expert staff is friendly, helpful, and detailed when it comes to getting the job done. We’ve been serving clients in the Kitchener/Waterloo area for a number of years, and promise a prompt, exceptional, and trustworthy experience. We want our customers to be glad that they called us. We provide a wide variety of services, and strive to be your go-to plumbing service. Call us today to schedule your next drain or sewer cleaning appointment. We make sure systems are running properly, the water pressure is sufficient, and everything is to code. Often times we fix what other plumbing services couldn’t get right. Leave it to our staff to fulfill all your plumbing needs in the Kitchener/Waterloo area including water heater repairs. Have your drain and sewer regularly cleaned and maintained is a great way to prevent future issues. Studies show that having your drains and sewers cleaned thoroughly can greatly reduce your risk of problems. That should be incentive enough to get in contact with us! We guarantee to take care of all your plumbing and cleaning needs. With Kitchener Plumbing Services we do all the hard work so you don't have to! Relax knowing that you’ve taken the right steps when it comes to plumbing by calling us. Give us a shout today at 226-400-6015, and we’d be happy to professionally clean and maintain your drain and sewer systems!